It is through God’s word that the Creator of the universe communicates to us. It is through the Word of God that the Saviour of our soul speaks to His own. The need for readiness and preparedness is a Bible theme that frequently surfaces, and the many instructions to be ready and prepared are given to saved believers. Noah heeded the word of the Lord and made ready an ark of salvation for his family. Israel were ready to move camp in the wilderness, as soon as God’s pillars appeared. The prudence of wise preparation is a repeated warning in the book of Proverbs. Peter reminds of the necessity to be prepared to give an answer for what we believe. John encourages us to abide in Christ so we will be spiritually ready to meet Him, and Christ’s warning of the 10 virgins rings loud and clear- to His own followers: be ready, be prepared – your Lord comes at a time you think not. Paul warns us to cast off the works of darkness put on the armour of light, for he knows the night is far gone and the day is at hand for the Lord’s return, The need to be ready and prepared is a theme that frequently surfaces in Scripture. The time for readiness and preparedness is not a future issue, but necessary now! 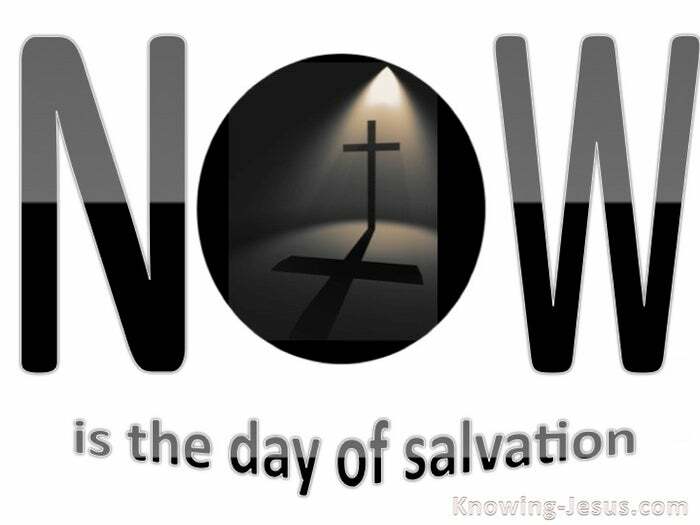 Now is the accepted time, now is the day of salvation 2Cor.6:2. Now is time to be ready – not in 20 years, 20 months; 20 days or 20 hours… So why is it important to be ready and prepared and watchful? What is the reason for this oft-repeated exhortation in the pages of scripture? 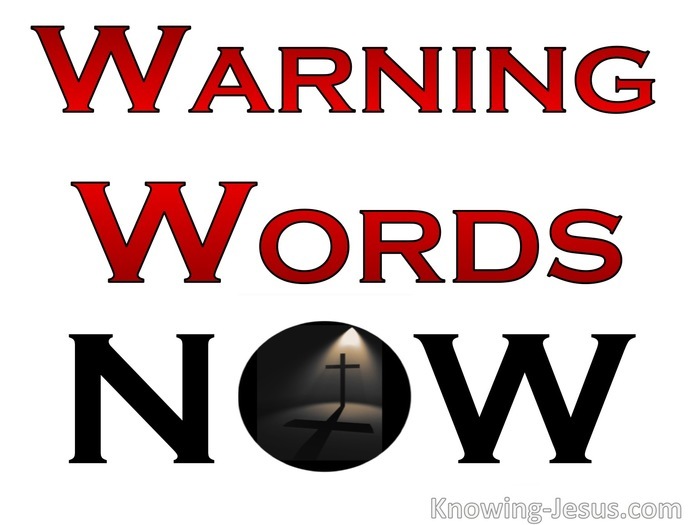 Why is this warning to be ready given to believers in so many places? Being unprepared does NOT mean that a believer loses eternal life – that’s finished. The work on the cross was a ‘done deal’ forever, when you were washed in His blood. God would deny His very essence were He to change His mind on that aspect. No, the problem of unpreparedness in a believer – it is a lack of spiritual reserves. Lack of spiritual readiness can hit doctrinally sound saints and godliest of men alike. Lack of spiritual preparedness can creep up on the most ardent believer. Lives thrown into confusion by this or that – is a result 0f being unprepared, Ill-prepared believers can be torn apart by grief, loss; need or calamity. But this is not the only sphere of life that can catch a Christian unaware. Lives that are comfortable, clean and plodding carelessly along may be unprepared. Lives that have left their first love or lost their focus on Christ will not be ready. Lives that enjoy a surfeit of worldliness are lives that fall foul of Satan’s ploys. Lives that give up on patient endurance have left the Spirit’s training program. Lives that treat other believers carelessly may be in danger of not being ready. Lives that have removed their eyes from the goal of their calling will not be ready. These are believers that have no reserves and they are the ones that are ‘foolish’ These believers are born of God, saved by His blood – but just not ready. These are the ones in Whom the Holy Spirit resides – but are not prepared. These may be deeply involved in the interests of Christ’s work and yet be unprepared. It is through God’s word that the Creator of the universe communicates to us. It is through the Word of God that the Saviour of our soul speaks to His own. The need for readiness and preparedness is a Bible theme that frequently surfaces, and many instructions to be ready and prepared are given to saved believers. The warning to be ready should rejoice our hearts and be an encouragement, for God has outlined in His Word all we need to ensure we are ready and prepared – and loving Jesus and trusting His word is the most important step in being ready.